Congratulations to Allison for being my February student of the month! 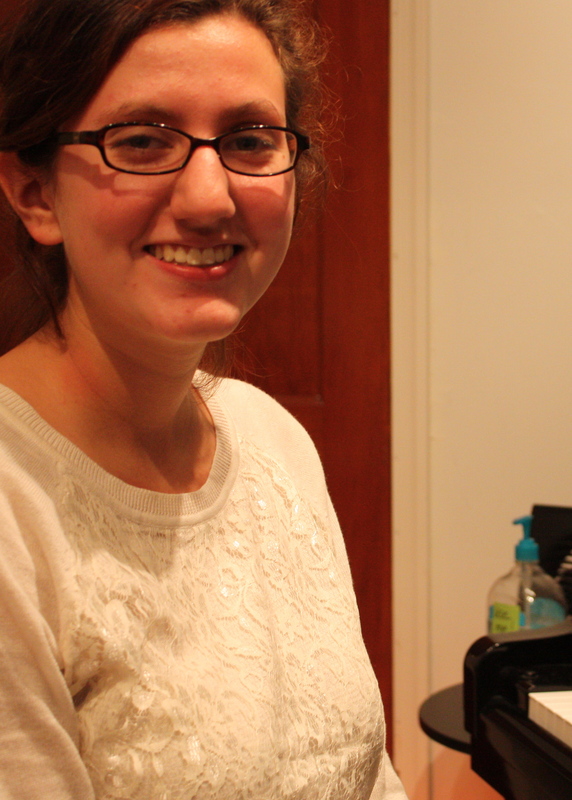 Allison has been working hard all year preparing for her solo Senior Recital in June. Allison is a Senior at Broadneck High School and is preparing to go to college in the fall. She works part time at Big Vanilla as a lifeguard and of course the rest of her time is either spent on school work or piano. Allison began studying with me in her freshman year and has been a real pleasure to teach. I sure will miss her in the fall! Allison always follows her assignment, works ahead, and is really a model student. Allison will have her photo on the wall of fame for the rest of the year and she will also receive a $10 Music & Arts gift card to spend on fun music or anything else she wants. Next iPad Games…Not just for people anymore!